Foundations, lip colors, blushes and bronzers made safer. Get results with cleaner ingredients in every step of your routine. Formulas for delicate skin made with simpler and safer ingredients. 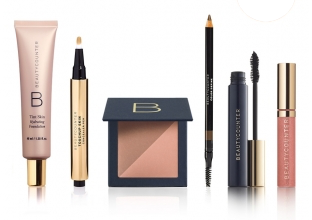 Browse the full collection of Beautycounter products at www.beautycounter.com/tracykubalak. The Never List™ is made up of more than 1,500 questionable or harmful chemicals that we never use as ingredients in our products. Click here to learn more about what's on The Never List™.